13 Apr 2016 --- Food regulators are examining whether infant milk formula labels need to change in Australia. Food Standards Australia New Zealand (FSANZ) is reviewing standards in the industry code that regulates infant formula milk products sold in Australia. It wants feedback on potential changes to the labeling of powder, liquid concentrate or ready to drink formula. The review includes the ingredients listed on the label as well as the explanation of how to prepare, use and store infant formula. FSANZ principal nutritionist Janine Lewis said the group wanted to ensure the code was in line with international regulations. "What happened in 2007 is we got a new international standard," Ms Lewis said. "Because this industry is traded heavily internationally, it was important for us to look at our standard to see if we could align it better." Jan Carey, CEO of the Infant Nutrition Council, which represents the infant formula industry in Australia and New Zealand, said labels could be a lot clearer for parents. "We are actually advocating for a little bit more information to be allowed on the labels," she said. "So we're really asking FSANZ and the policy makers to review the policy about the labeling of infant formula." The review will not affect the current prohibition on making nutrition and health claims on infant formula products. Submissions close on May 17. 13 Apr 2016 --- Food regulators are examining whether infant milk formula labels need to change in Australia. 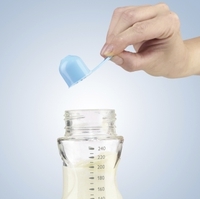 Food Standards Australia New Zealand (FSANZ) is reviewing standards in the industry code that regulates infant formula milk products sold in Australia.